I was surprised, some years ago, to learn that Mary Brown—the 2nd wife of John Brown of Bloody Kansas and Harpers Ferry fame, and his wife at the time of his execution—was buried in my "back yard," in the South [San Francisco] Bay town of Saratoga, in the hills southwest of San Jose. Surprised, too, to learn that she taught English to Japanese migrant workers in the Santa Clara Valley (today more often referred to as Silicon Valley, where remnants of the once-endless orchards still survive as isolated fruit trees in fenced-off back yards). I wasn't surprised that she had made her way to the western end of the continent in the years after her husband was hanged in Charles Town, West Virginia. According to a direct descendant, Mary Brown and her children—and a stepson, Salmon, from John's first wife—moved to California to let their families experience a life "out of the shadow of John Brown." 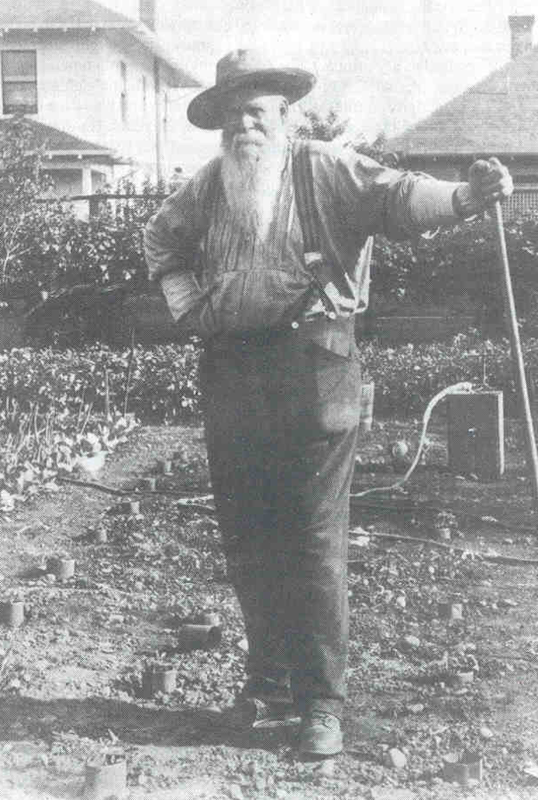 I was surprised because I'd never heard about it before—surprised that in an area so enamored of its history, not many people beyond the local historical society know that the widow and other family members of the man author Tony Horwitz describes as "the most successful terrorist in American history" is resting peacefully in this beautiful and affluent Northern California suburb. It wasn't always thus, of course. As is the way with history, things are forgotten over time. Her presence in California—first in Red Bluff, then up amongst the giant coastal redwoods in Rohnerville with daughters Annie, Sarah, and Ellen, and next door to Salmon Brown and his family—was well known and widely reported in her day. 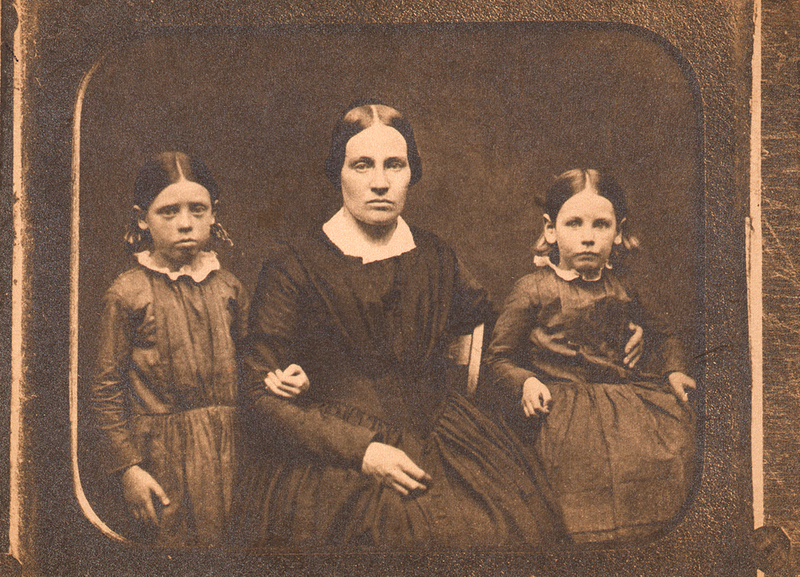 Daughter Annie reportedly served as her father's secretary during at least part of his anti-slavery campaigns. During the centennial of the Harpers Ferry raid, on October 18, 1959, the San Francisco Chronicle wrote that Annie "had, when but 16, assisted Martha Brown, wife of John Brown's son, Oliver, with the cooking at the Kennedy farm, where the daring maneuver was prepared" (this from Jessie Faulkner at the Humboldt County Historical Society). In 1881, about three years before her death, Mary Brown relocated to Saratoga, in the foothills of the Santa Cruz mountains, and is buried in Madronia Cemetery along with her daughters Sarah and Ellen. 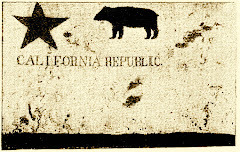 To the end of her days, it seems, she was both harassed by enemies of her late husband (even having to outrun southern vigilantes on the Oregon Trail, by one account) and warmly embraced by his supporters (supported financially to some degree by well-heeled abolitionist literary figures like Thoreau and Emerson), wherever she went. The latter outnumbered the former in this Far West Union state. Check out this blog entry about John Brown's great-great-great-granddaughter, Alice Keesey Mecoy, speaking about her famous ancestor. "'I didn't know I was related to him until I was 16,' Alice Keesey Mecoy said Sunday to a packed room at the Saratoga History Museum. 'I said, What? I'm related to this crazy man?'" In 2009, dirt from Mary's grave in California and John's in North Elba, New York, were commingled. 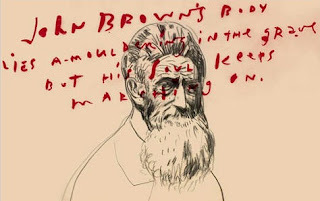 I enjoyed a number of hours reading material at this excellent John Brown blog, which includes considerable information on Mary Brown. This Allies for Freedom website has lots of interesting information on Mary Brown and her family in California. 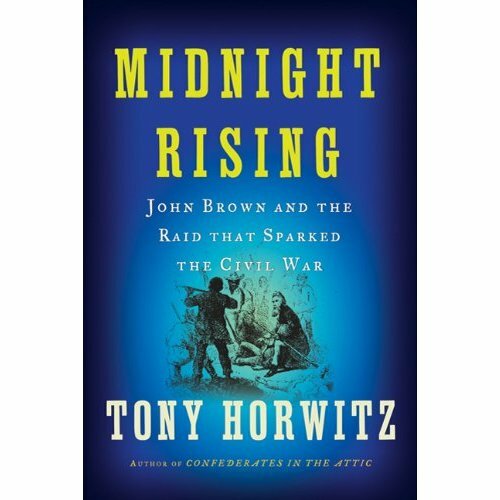 Author Tony Horwitz wrote this NYT Op-Ed piece in December of 2009, on the subject of his forthcoming book about John Brown's raid on Harpers Ferry (Midnight Rising, John Brown and the Raid That Sparked the Civil War, coming from Henry Holt in October of 2011). The "9/11 of 1859" essay can be read in its entirety here. Scroll down at this page of the publisher's site to hear a five-minute audio from Horwitz discussing what he was trying to accomplish in writing the book. Here's an earlier (October 2010) Horwitz Op-Ed piece on the enduring Civil War, "The 150-Year War." -- from "The 9/11 of 1959"
I extend a hearty thank-you to my history-major neice Susan for bringing this forthcoming Horwitz volume to my attention. First, let me say how gratified I am that there are still history majors, and that I am related to one of them. 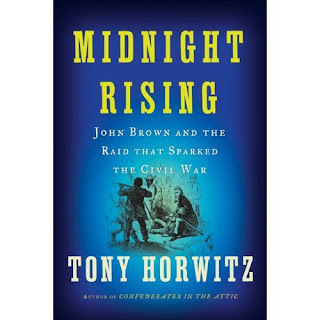 Second, let me say how excited I am that Horwitz took on the John Brown raid. Like many a Civil War buff, I enjoyed his Confederates in the Attic, and his talent as a writer and a journalist caused me to follow his efforts afterwards—his chronicling of Captain Cook's adventures (Blue Laditudes), and I did download, on the advice of the aforementioned Susan, his most recent book, A Voyage Long and Strange . Not everyone cares for Horwitz's style, but I like it. I love the conflation of serious journalist, history enthusiast, and travel writer in his narrative voice. I don't even care if he turned to John Brown to capitalize on the sesquicetennial fervor (even if he's behind the date on the John Brown raid). I'm going to give him the benefit of the doubt, having never been disappointed thus far. 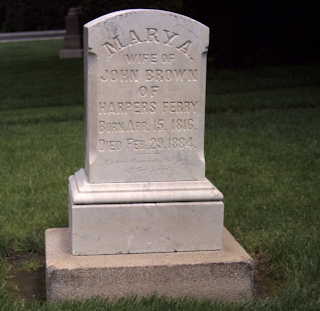 It's also a perfect segue to my forthcoming blog post on John Brown's wife, Mary. Look at the neat things Andy Hall has done with Google Earth over at his consistently interesting Dead Confederates blog. Through "image overlay," and careful scaling of the original to align with the Google image (when will someone come up with an App that scales these images for you? ), one can get a reasonably accurate look at how a historic image fits into today's satellite view. Pretty damn cool. Have at look at what he did with the location of Henry Wirz's gallows (at the Old Capitol Prison -- see the full essay on the Wirz Execution photos here) in relation to today's U.S. Supreme Court building. Likewise, the overlay of 1865 Galveston with the modern view. 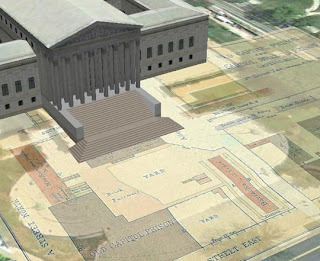 The application of Google Earth tools to historic documents is as unlimited as our nearly infinite capacity for avoiding doing any real work (or as Andy put it, the functionality is limited only by the imagination of the user). Thus far, with respect to Google Earth, my imagination was limited to creating three Civil War quizes in which participants view an overhead view of a part of a battlefield or significant landmark -- just out of context enough to be disorienting for some -- and try to guess the Civil War location. If you haven't given it a shot yet, links to the quizes and answers are given below. Quiz #1 centers on fairly famous battlefield features, without clues, while the subsequent two quizes include more-or-less useful clues. Google Earth Quiz Number Two is here -- (the answers for Quiz Two are found in the last of the 3 comments attached to that post).